Aug. 24 4-10 p.m. / Aug. 25 11 a.m. – 10 p.m. / Aug. 26 11 a.m. – 4 p.m. Hint: it’s pronounced “YEE-ros.” No matter how you say it, it’s a quintessential Greek dish, and it&apos;s on the menu at Greekfest. Meat, traditionally lamb, is cooked on a vertical rotisserie, served in a flatbread like pita and topped with tomato, onion and tzatziki sauce. Save room for dessert and prepare to stand in line, as the dessert sales are the most popular. Order a classic baklava and try loukoumades, deep fried honey puffs. When you think Oktoberfest, you think pretzel necklaces and German beer. Find it at Oktoberfest during the annual German celebration. Start with a warm Bavarian pretzel and don’t forget the traditional bratwurst and sauerkraut to round out the experience. You can’t miss “the church on the hill under the gold dome,” as they call St. George Festival. Get a taste of Middle Eastern culture and order falafel, a dish consisting of spiced mashed chickpeas that have been rolled into a ball and deep fried. If you’re still hungry, go for another signature food, the lamb shanks. Oct. 6-7, 10 a.m. – 6 p.m.
“One order of dragon legs, please.” You’ll hear this only at the Indiana Renaissance Faire. Fret not – these are actually smoked turkey legs that are as big as your head. Come hungry and prepare for a messy, meaty meal. 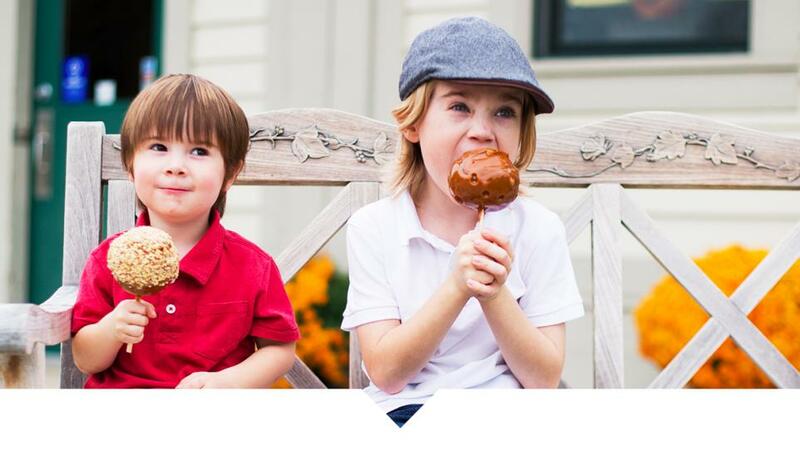 It’s not truly fall until you’ve sunk your teeth into a caramel apple, and they are irresistible at the Apple Store at Conner Prairie. Choose from classic caramel, caramel with nuts or a decadent dark chocolate sea salt creation. Wash it all down with a refreshing cider slushie. For more festival information in Hamilton County, check out our calendar. Be sure to follow us on Facebook, Twitter and Instagram to see what&apos;s happening in #VisitHC.